About the Book: When Gerald was a child, his family took part in a nanny reality show-and Gerald was made out to be the star. He was the family terror, angry at everything and in his anger, he would defecate on anything. He earned the nickname "The Crapper." No one wanted to see that the show was edited and what the real problem in the family was. Instead, Gerald was the problem, he was forced into the special needs classroom at school, and he was told the only path he was on would land him in jail. But Gerald knows that's not true. And he wants to break free of everyone's labels and ideas about who he really is. 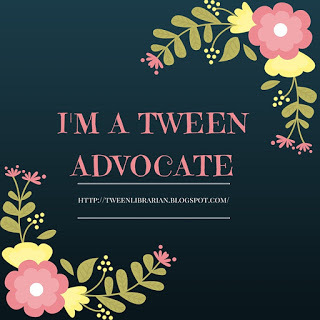 GreenBeanTeenQueen Says: A.S. King is a writer who gets better with each book. Each new book she releases manages to top the last one and pull at my heartstrings in a new way. Reality Boy is no exception-I felt for Gerald-and not just a surface level of feeling bad for him. This was a real, deep, connection that made me painfully upset about his situation-so much so that I wanted to reach into the book and give him a hug, tell him I would help him, and find a way to help him escape. I thought about Gerald when I wasn't reading and couldn't be away from the book for too long because the story was pulling at me to get back and give Gerald my attention. It's a book I've thought about long after reading the last page. Gerald is told he's on the path to nothing-he'll end up in jail someday. Everyone thinks there's something wrong with him, he's in a special needs class at school, and he's been through years of anger management and therapy. Gerald should be lost and hopeless, but he's instead an incredibly insightful character who has a lot of heart. Gerald has a great sense of humor and a fantastic insight about those around him-and himself. Instead of giving in to what others have said about him, he knows there can be more to his future-he's just not sure how to get there. But he's taking steps to reach a new path that he's laying out for himself instead of basing it on what everyone expects of him. While this is Gerald's story of overcoming the path others have laid out for him, it's also a commentary on reality TV. We learn from Gerald throughout the novel about the episodes that aired and what really happened. We learn that nanny wasn't real, but an actor portraying a nanny, the director would stage scenes, and the show would be edited to fit what the show wanted to portray and what the audience wanted to see. The show is edited to give us Gerald the uncontrollable terror, but in reality, it's Gerald's sister who is the real horror. And let me tell you, Gerald's sister Tasha is one of the scariest characters I read. She's manipulative, her mother gives into her every whim and her father ignores that there's anything wrong with his daughter and distances himself and numbs his emotions. Tasha is who frightened me the most throughout-especially when we get glimpses of her and how she worked the nanny show to her favor. This was also what pulled at me the most-Gerald is living in Tasha's shadow. He and his other sister Lisi know that something is not right with their older sister, but no one will listen to them-or acknowledge that things are perfect or okay. Gerald lives in fear of his sister but can't express this fear because no one will listen. Even those adults who see a glimpse of trouble won't do anything to help. And his mother-gosh, she's horrible. She's emotionally distant and numb and while she might try on the surface, you know she doesn't care for Gerald or Lisi. It's heartbreaking, terrifying and incredibly realistic. Gerald is remembered from his reality TV days, even though he only appeared on the show a few times. At first I thought this was a bit unrealistic that he would still be such a celebrity after all this time. I mean, do I remember reality show stars from years gone by? But when I started thinking about him as a local celebrity in his community, it made sense and I believed that Gerald had to overcome this past. He was in school when the show was airing, his fellow students watched the show, and his reputation has followed him. Gerald's struggle to overcome his past reputation was believable. While there are a lot of heavy issues about family, overcoming reputations and emotions, and finding your own path, A.S. King pulls off a nice balance of light and hope with Gerald's heartbreaking story. He has a crush on a girl who works the concession stand at the arena with Gerald and makes friends with a guy from a traveling circus. And as always, King's signature moments of magical realism are here in Gerald's daydreams about Gersday-his special day and place that's only for him and things go the way he wants. Reality Boy is a powerful examination of the expectations that are placed on you and finding your own way. Gerald is a character that broke my heart and put it back together again. There may be brokenness, but there is hope for us all and Gerald helps us see that. A must read that I'm sure will continue to put A.S. King at the top of YA lit and garner her much deserved praise. One of my favorites reads of 2013. Thanks for this great review. 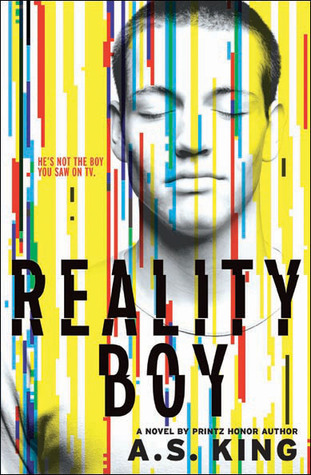 REALITY BOY was such an unexpectedly dark and thought-provoking read. Lots to think about.